Sir Michael Kemp Tippett OM CH CBE (2 January 1905 – 8 January 1998) was an English composer. In his long career he produced a large body of work, including five operas, three large-scale choral works, four symphonies, five string quartets, four piano sonatas, concertos and concertante works, song cycles and incidental music. The works for which he is best known are the Concerto for Double String Orchestra, the oratorio A Child of our Time and the Fantasia Concertante on a Theme of Corelli. His deeply-held humanitarian and pacifist beliefs shaped both his life and his music: he served a prison sentence as a conscientious objector in the Second World War. An interest in many aspects of contemporary culture is reflected in his music and writings. 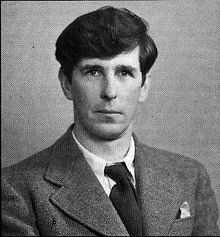 Tippett was one of the first openly gay composers to explore issues of sexuality in his work. The libretti of his operas, which he wrote himself, attracted criticism for their apparent naivety and use of contemporary slang, as well as for their sometimes obscure extra-musical references. He had a keen interest in musical education and in later life was active as a broadcaster and lecturer. As a conductor he recorded many of his own works. He is generally acknowledged to be one of the most important British composers of the 20th century. Click here to view all items related to Michael Tippett.